Slim Bombs have been around for seemingly ever, the new release, the advanced formula is said to be the result of painstaking research and taken years to perfect says the official website. The makers of this product claim that the secret to its effectiveness is the all-natural ingredients that make up each pill. A cursory look at this list of ingredients shows that there are indeed some natural, commonly found dietary pill ingredients in play, such as green tea and B3. It also contains caffeine which is used by almost every diet pill due to the fast and temporary effects it has on a person’s appetite. The solutions on offer here are not clear, but as with most ineffective diet pills, the key is the caffeine – which can make the user feel as if they are going through some kind of change. In reality, this is just the typical effects of caffeine. Taking a close look at what is contained in this pill will not inspire many with confidence, as it seems to contain three major “active ingredients” (tree bark extract, green tea, caffeine) and then a lot of other things that appear to be filler, such as black pepper. 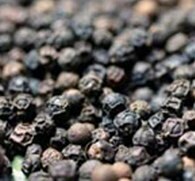 The inclusion of things such as pepper appeal to the curious but un-clinical side of the consumer that wants to believe in a miracle home remedy. If the ‘pepper’ was chili pepper aka capsicum it would be a completely different story. Red hot chili pepper is a very potent weight loss ingredients – black pepper is a food seasoning. The company appear to be very vague about what is specifically in the pills, most likely because there doesn’t seem to be anything clinical evidence to back these pills up. Usually, a dietary pill company will quickly let all of their potential customers know if their product has been proven effective. The fact that this one doesn’t does not bode well. Public reaction to Slim Bomb has not been particularly good. A cursory scan of reviews via a Google search reveal more than a few reviews that complain about the pill due to its generic, filler ingredients and unpleasant side effects. However, the company has been selling these pills for many years now, which either points towards effectiveness of some kind, or the general desperation of its target market. The press reaction is somewhat limited, because it should be noted that there is a saturated market for this type of product, and it is generally expected that the bad products outweigh the good. Customer reactions are far more telling and widespread. 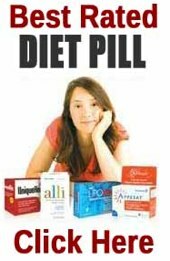 Many people have taken to weight loss forums and blogs to complain about not just the ineffectiveness of the pill, but the dubious marketing strategies employed by the company itself. Some of the positive customer feedback for the product, even on reviews on independent stores, appears to be overwhelmingly positive – to the degree that it seems suspicious. 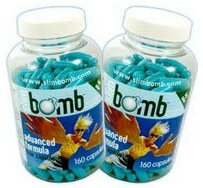 The negative side effects of the Slim Bomb are typical for diet pills that center about caffeine – a user can expect to feel bloated, drowsy and irritable. Some may think this is a small price to pay for weight loss, and it would be, if caffeine was a long term solution to weight loss – which it is not. The other ingredients (such as green tea) should not produce many side effects, as they are having a somewhat minimal effect on the body to say the least. In conclusion, it is hard to imagine that the Slim Bomb could work for anybody on its own. A concession should be made that a small caffeine and green tea supplement could be beneficial to a varied and healthy diet, but that then begs the question of why anyone would need this pill if they were already eating and living healthily. While there are some dietary pills that focus on real, proven supplements that do not make outlandish claims, this, unfortunately, is not one of those pills. As an added insult, Slim Bomb is not even cheap, and the makers claim that it should be taken until a weight loss goal is met. This not only makes it expensive, but also incredibly unhealthy in long term use. Can be purchased from the official website online as well as several online authorised suppliers. can also be purchased off-line in the UK high street. The fat burner genre is dominated by just a handful of products with the pick of the bunch being PhenQ. 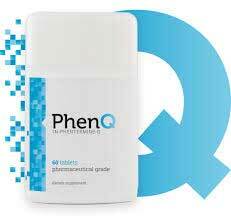 PhenQ is the multi faceted fat burner that is said to be able users burn 278 calories per serving. 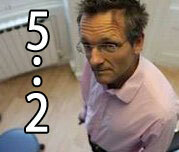 It is incredibly popular in the UK. When it was first introduced to the market it sold out after just three days. CPhenQ contains an ingredients usually found in NHS administered slimming tablets but is available to buy direct without prescription.